Glemham Hall is a beautiful Country House Wedding Venue in Suffolk with stunning Gardens and a Luxurious Marquee. Our blog provides an exciting insight to the world of weddings & events. Introducing...the Luxe Love Line Up! Just two weeks in to the New Year, we were up early on a bright January morning to welcome some fabulous suppliers and lovely couples to our first Wedding Open Day of 2018 – and what a treat it was! After a week of cleaning the marquee (whoever told you wedding planning was a glamorous job was lying! ), dressing and decorating (with the help of Myrtle & Mint, CMA Hire, My Big Fat Wedding Disco, Extravorganza, Amelie's Kitchen and Polly Pickle Wedding Stationery) Sunday arrived! 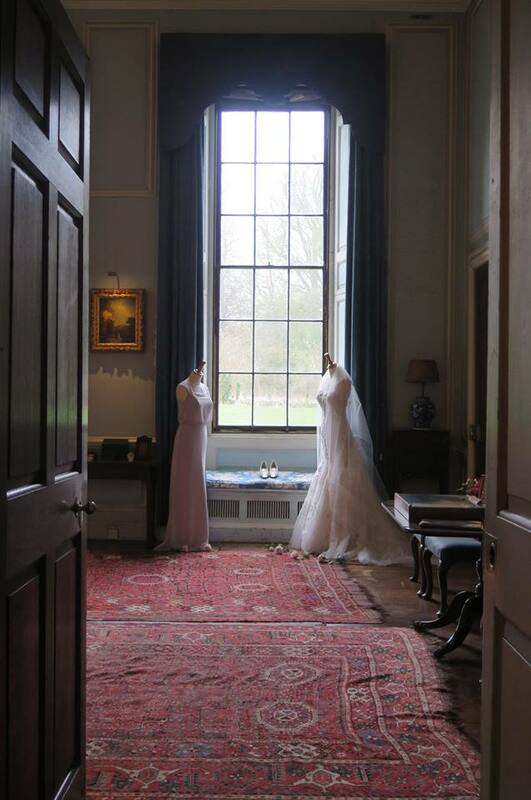 We had a fabulous day meeting so many lovely couples, introducing them to a selection of our favourite suppliers and of course, showing them the beauty of Glemham Hall. But for those of you that couldn’t make it along on Sunday, we’ve gathered some pictures of the day so you don’t miss out on the inspirational styling! We opted for a colour scheme of greys and greens, lifted with off-white. Charlotte at Myrtle & Mint styled the beautiful centre pieces and dressed our grand staircase. Gemma from Polly Pickle added some stunning stationery and had us spoilt for choice on which design to choose. Gareth at My Big Fat Wedding Disco added some glittering touches in the marquee, hanging strings of fairy lights against our linings. 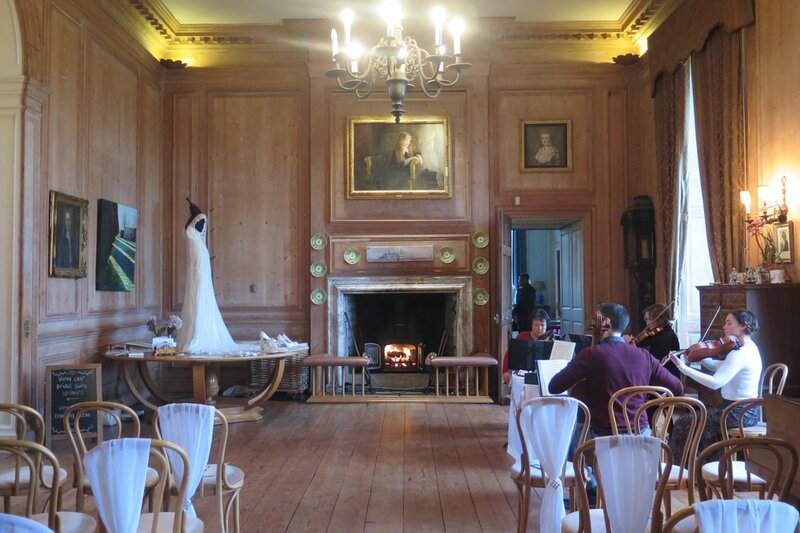 Claire from Lavender and Jude had us lusting over her beautiful bridal gowns inside the Great Hall and Drawing Room. Helen from Amelie’s Kitchen, outstanding as always, designed a gorgeous cake to compliment the theme. Finally, the fabulous Emily from CMA Hire provided me with all the elegant linen and table wear to create a grey and green tablescape that was totally swoon worthy. I cannot get enough of the white marbled charger plates! Take a look at our events page for our future events and I'll look forward to seeing you at Glemham Hall again soon!